20/20 vision is a common phrase thrown around to reference perfect vision – but what does it really mean, and how do you know if you have it? When an adult doesn’t need glasses, he or she brags about having 20/20 vision. Does anyone really know what that means? Is 20/20 one of those phrases we have heard repeated for so long, that we feel comfortable using it in our daily conversations without really understanding what that means? Similar to a product that has antioxidants, we know 20/20 vision is a good thing . . . but where did those numbers come from? Why aren’t the numbers 0/0 or 100/100 used? Is 20/20 vision really perfect vision? 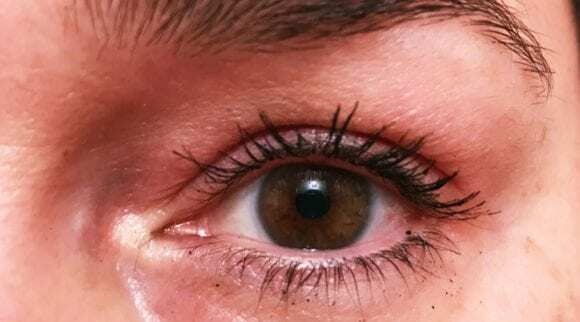 Does this challenge everything you thought you knew about eyesight? In fact, it would be correct for you to say that your visual acuity is 20/20. 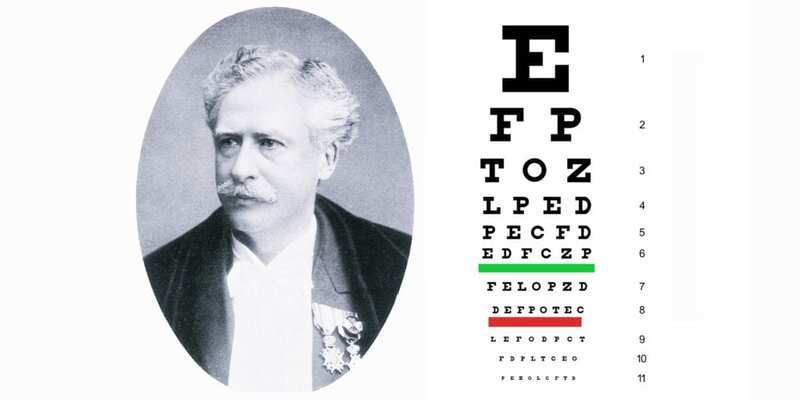 In 1862, Dutch ophthalmologist Herman Snellen developed a measurement system to rate a patient’s visual acuity. These Snellen fractions are what we continue to use today. In Snellen’s optical acuity system, the first number is the viewing distance between the patient and the eye chart. (In the United States, the patient is usually 20 feet away from the chart.) Of course, you know what the eye chart looks like. Think of the chart with the giant “E” at the top, and the letters continue to get smaller as you move from top to bottom. If you are not able to see the standard “20” line, your visual acuity is measured by the smallest line you can see. If you can see only the “40” line from 20 feet away, your vision is 20/40. If the smallest letter you can see is the big “E” at the top of the chart, your vision is significantly worse than 20/20. 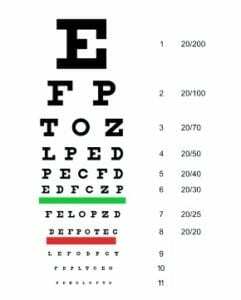 On the other hand, if you can see lines below the “20” line on the Snellen chart, your visual acuity is sharper than those with 20/20 vision. If you can see the line below the “20” line, your visual acuity is sharper than normal 20/20 visual acuity. This person would be given the measurement 20/15 on the Snellen chart. Here’s another way to look at the information gained from a Snellen chart. If you have 20/100 visual acuity, it means that you must be 20 feet away to see what a person with normal vision can see at a 100-foot distance. 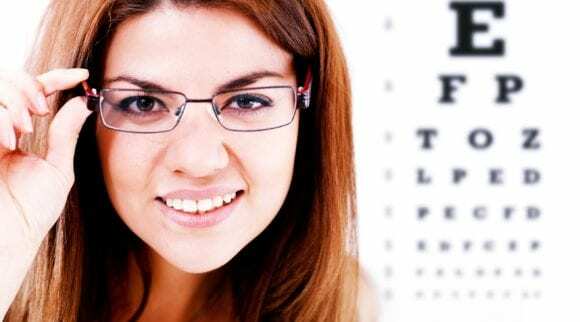 A person with 20/20 visual acuity may not see well in every situation. Those with 20/20 visual acuity can see letters on a chart from a specific distance. You are sitting still during this test, and the numbers do not move either. The letters on the chart are printed in dark, black ink on a white background. In these ideal conditions, if you have 20/20 visual acuity, you can see the same non-moving, high-contrast letters from 20 feet away that an average person could see. To be specific, the Snellen test measures your body’s ability to perform three different functions. First, the test measures how the muscles of the eye adjust the lens of your eye to focus light onto the retina (which is located at the back of your eyeball.) It also measures the sensitivity of the nerves in the retina. Finally, the visual acuity test measures your brain’s ability to interpret information received from the retina. To be even more specific, the Snellen test measures the sensitivity of the nerves of the central retina, which is called the macula. This area is a tiny portion of the retina and highly sensitive. Related: Visual Acuity: What is 20/15 Vision? The Snellen test does not test your visual acuity for objects that are similar in brightness as the background. In addition, it doesn’t check for objects that are any other color than black, and it also doesn’t test how your vision performs when there are moving objects. The Snellen test does not test your peripheral vision, your depth perception, aor your eye coordination. Also, some people can see fine at a distance of twenty feet, but they are unable to focus on items that are closer. This can be caused by hyperopia or presbyopia. Hyperopia is farsightedness, and presbyopia is the loss of the ability to focus, which occurs after the age of 40. In general, your “vision” covers a wide variety of skills other than being able to see a high-contrast stationary object 20 feet away. Your vision is measured by your ability to track moving objects smoothly. It also includes your ability to see color and perceive depth. Your vision is measured on how fast and how accurate you can focus as well. Your vision includes your ability to focus on items that are near you. 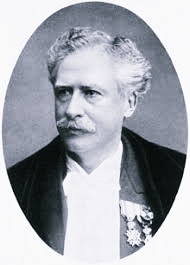 As mentioned earlier, Snellen was a Dutch ophthalmologist who lived from 1834 to 1908. He was the director of the Netherlands Hospital for Eye Patients. He was also a professor of ophthalmology at Utrecht University, and it was there he studied astigmatism, glaucoma, and other eye diseases. He also researched correcting visual acuity using eyeglasses and ophthalmological surgery. Amazingly, more Snellen charts have been sold in the United States than any other poster. The original chart was printed with 11 lines. The first line always consisted of one very large letter, but it wasn’t always “E.” (It may have been “H” or “N.”) The symbols on the chart are called optotypes, even though they were designed to be read as letters. In developing the optotypes, the thickness of the lines equals the thickness of the spaces between the lines. Also, the height and width of the optotype is five times the thickness of the lines of the letters. Only ten letters were used as optotypes in the original Snellen chart: C, D, E, F, L, N, O, P, T, and Z. If a patient is able to read five out of six letters on the “20” line (or a similar ratio), that is an indicator that the person’s visual acuity is 20/20. 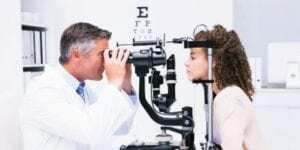 It is interesting to note that eye doctors outside of the United States measure the distance from the patient to the eye chart as six meters. Normal visual acuity for patients outside of the United States may be labeled as 6/6. Is the original Snellen chart used today? While charts similar to the Snellen charts are used today, the advancement in printing technologies from 1862 obviously has made the new charts easier to use. The new charts are called LogMAR charts. However, Snellen charts are present in every single eye doctor’s office. What if 20/20 visual acuity is not good enough? It could be that you aren’t happy with 20/20 visual acuity. Perhaps your vision does not seem as perfect as the label you have been given. It could be that your eyes have higher-order aberrations. Misshapen eyes, among other things, cause higher-order aberrations. If your vision is not sharp, you can talk with your eye doctor about being fitted with gas permeable contact lenses. Gas permeable lenses can correct the shape of your eye to allow you to focus light more accurately. You may also be eligible to receive LASIK surgery. LASIK surgery can correct a patient’s vision similar to the level he or she would enjoy by wearing a gas permeable contact lens. 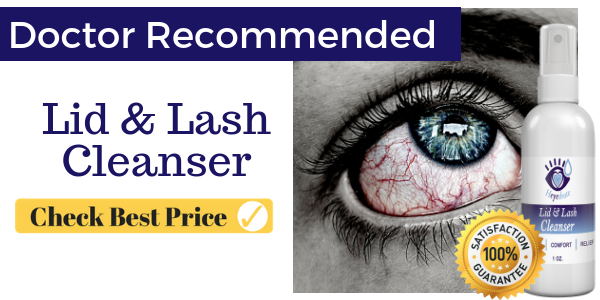 Of course, if you are not comfortable wearing contacts, and you can’t afford LASIK surgery, you can also be prescribed special high-definition glasses that will make your vision sharper than before. How typical is 20/20 visual acuity? Approximately 35 percent of adults have 20/20 “vision” without corrective lenses. If you include the number of adults who have corrective lenses to receive 20/20 visual acuity, that number jumps to 75 percent of adults. What visual acuity numbers are needed to receive a drivers’ license? Although the numbers differ from state to state, most drivers in the United States need to have the visual acuity of 20/40 to be able to drive. A person is considered legally blind if their visual acuity (with eyeglasses or contacts) is 20/200 or worse. 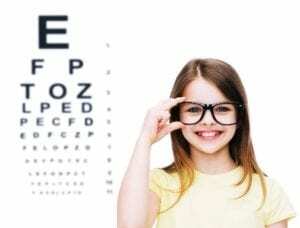 When should children be given an eye test? Some children lose their 20/20 visual acuity early on. Most of the time the visual acuity levels remain relatively stable for the following decades. Of course, those in middle age may notice their close-up vision beginning to suffer. This is when you start to purchase reading glasses in mass and leave them all over your house. Even if there are no complaints about vision, it is a good idea to have an annual eye exam beginning at age five, although it is recommended that children have their eyes examined between six months and one year old to detect for any developmental abnormalities. Most likely, your child will not need glasses. However, it’s not uncommon to see a baby with glasses and it does happen! Early eye examinations also help detect eye health issues that would not otherwise be caught early enough to fix. What are the different types of eye professionals? 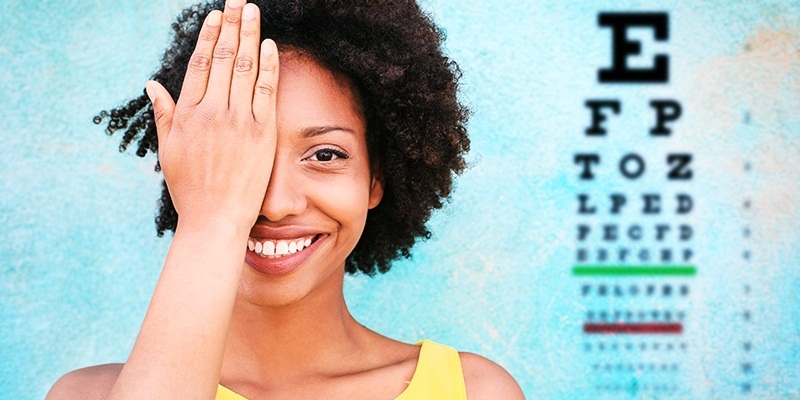 Although most say they go to the “eye doctor” once a year, there is a significant difference among the different eye professionals you may be visiting. Ophthalmologists are medical doctors who specialize in eye health and vision care. They can perform surgeries and treat eye disease, but they also fit eyeglasses and contact lenses to correct someone’s vision problems. They have graduated from college plus received at least eight additional years of medical training. Optometrists are primary care doctors. They receive a doctor of optometry degree, which means they went to four years of optometry school after attending four years at an undergraduate institution. Optometrists are licensed professionals. 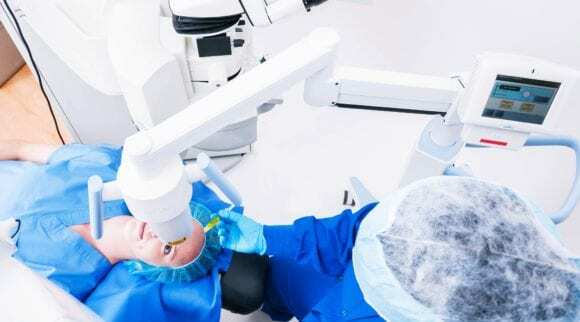 While they cannot perform surgery, their primary function is to prescribe corrective lenses, detect specific eye abnormalities, and prescribe medications for eye diseases. Opticians are not doctors, but they do practice alongside them! They fit eyeglasses and contact lenses on patients, but they do not test a patient’s vision or write prescriptions. 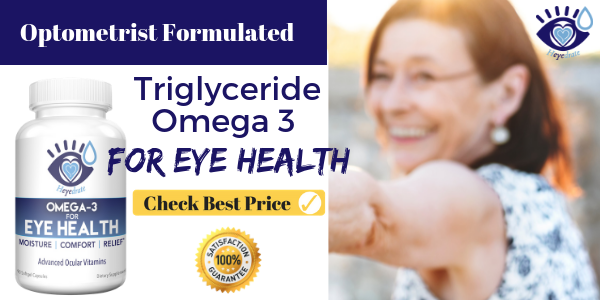 They do not treat eye diseases. Opticians are trained professionals that are experts in the field of eyeglasses and lenses. 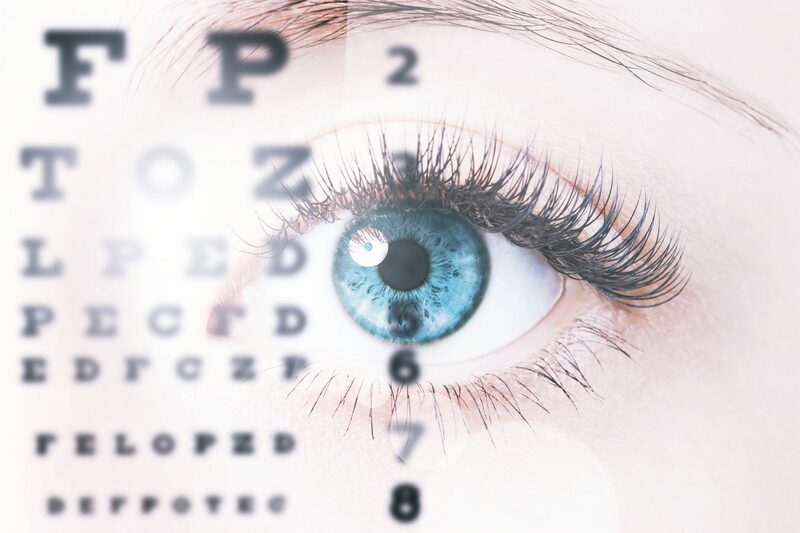 The first time you go to an eye doctor, you will be asked to fill out a variety of forms with your personal information including your name, contact information, and insurance information. You will then be asked about your health history. Do not assume that all the questions will just be focused on your eye health. The whole body works together, and other health issues can affect your vision. Don’t be annoyed by these questions. Your doctor is just trying to treat you to the best of his or her ability. Do you currently wear glasses or contacts? What kind? Are you happy with them? Are you taking any medications? Which ones? Do you have a family history of macular degeneration, glaucoma, or retinal detachments? Do you have a family history of diabetes, high blood pressure, or heart disease? The doctor will ask you to follow a moving object, such as a pen or a small flashlight, with your eyes. During this test, the doctor is looking for signs of muscle weakness, poor eye control, and poor coordination. The doctor will ask you to identify letters on a Snellen chart (or an electronic/backlit version of the Snellen chart.) The doctor will also give you a small card with letters to read to test your near vision. Which is better? One or two? What about three or four? During this segment of the eye exam, the doctor will have you look through a crazy-looking contraption called a phoropter. During this test, the doctor is looking for refractive error. Refractive errors occur if light rays don’t focus correctly on the retina, and they include nearsightedness, farsightedness, and astigmatism. 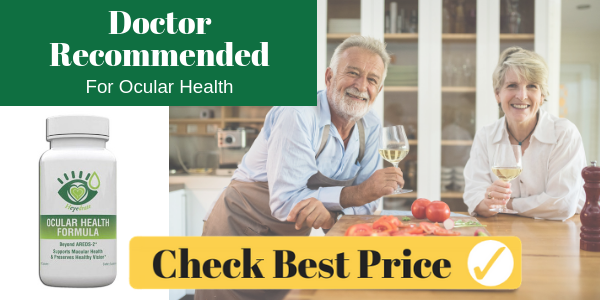 This assessment will help your doctor determine the best way to correct your vision. The visual field test determines your peripheral vision. There are a variety of ways this is tested. Sometimes the doctor may sit in front of you and will ask you to cover one of your eyes. As this happens, the doctor will move his or her hand into view, and you indicate when you can see it. More commonly, there are more-complex tests that measure your visual field. For one of these tests, you sit a short distance from a screen and focus on a target at the center. You then tell the doctor when the object moves into your peripheral vision, and when it disappears. You also may be asked to sit in front of a computer screen that has blinking images on it. You will be asked to push a button every time you see a blink. The first time you visit a particular eye doctor, he or she may give you an image to look at that has several multicolored dots or cards. If you have no problems distinguishing colors, you will be able to pick out numbers and shapes from the pattern. If you have problems seeing the numbers and shapes, you may have a difficulty distinguishing color. Your doctor will also look at the overall health of your eyes during a routine eye exam. He or she will do this by looking at your eye through a slit lamp, a microscope that magnifies and illuminates your eye. Your doctor will look at your eyelids, iris, lens, lashes, and cornea during this exam. The retina is at the back of the eyeball, and some tests can be done for the doctor to check the health of your retina. 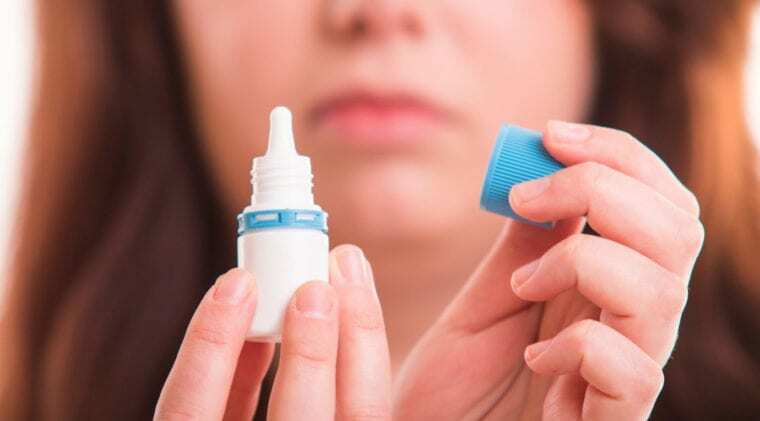 Sometimes the doctor will need to give you eye drops to dilate your pupils so the doctor can see the entire retina. Glaucoma is a disease that causes damage to the optic nerve. One way to test for glaucoma is to use tonometry, where the fluid pressure inside your eyes is measured. There are several ways the fluid pressure inside your eyes is measured. One is during applanation tonometry. This test measures the amount of force need to flatten a part of your cornea, and it often uses a blue light and numbing drops. The more common way to test for glaucoma is the non-contact tonometry. During this test, a puff of air is sent into your eyes. This puff of air does not hurt, but it may startle you. Thankfully, there is now new technology out there so you may be able to avoid the air puff. How do you keep 20/20 visual acuity? Maybe you are proud to have “perfect” vision. Perhaps you are the only sibling who has never had to wear prescription glasses. Who doesn’t love bragging to their siblings how superior you must be because of your fantastic eye health? So, is there anything you can do to keep your eyesight stable? First, go to the eye doctor. Even though you may be able to see fine, glaucoma is known as the “silent disease.” It has no noticeable symptoms until it starts affecting your vision. Make sure glaucoma doesn’t creep up on you and affect your eye health. Your eye doctor will also be able to fit you with a pair of contacts to correct your vision that your siblings don’t even need to know that you own. 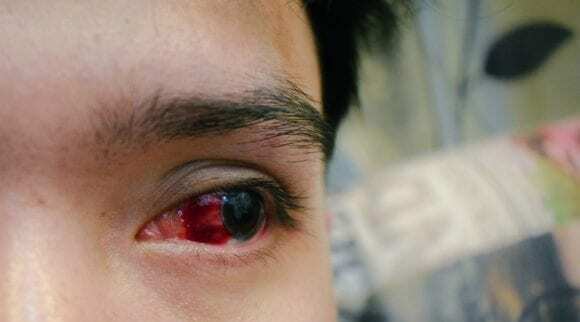 At least you may be able to hide the fact that you are wearing contacts for a while! Pay attention to your eyesight. You may be able to focus on objects near and far, but if you have other odd things happening in your eyesight, visit your eye doctor immediately. Other indicators that you need to pay attention to include flashing lights in your vision, distorted vision, floaters in your vision, or blind spots. Your eyes are not islands. 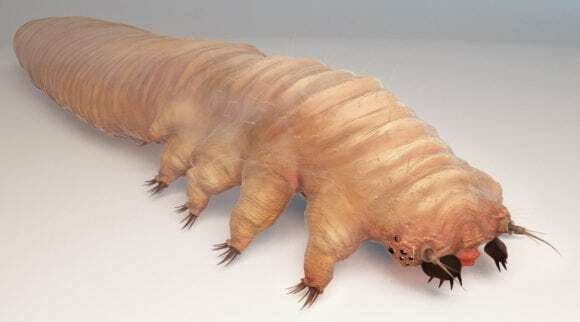 They are connected to the rest of your body. 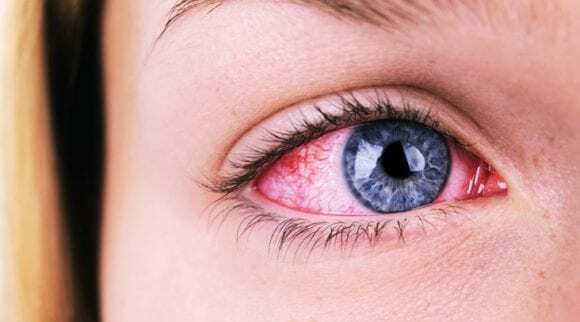 If something is wrong with your general health, it may affect your eyes. 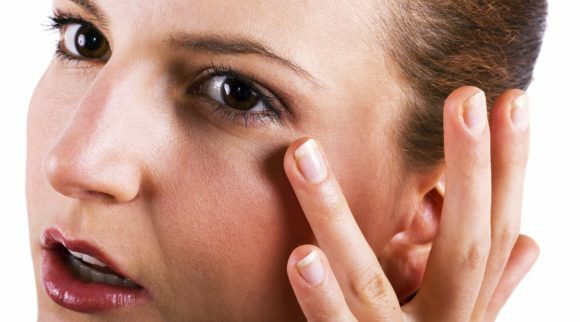 If you have high blood pressure or diabetes, these will affect the blood vessels in your eyes. High blood pressure and diabetes will affect your vision. Use eye protection while playing sports. Wear eye protection if you work in construction, manufacturing, mining, carpentry, plumbing, welding, and auto repair. Also wear glasses if you work in a lab, or if you work in a place where another person’s body fluids may splash into your eyes. Wear eye protection when you mow your grass and use a weed eater. Wear eye protection when doing home improvement projects involving sanding or cutting materials. Protect your eyes to protect your vision. The food you eat affects not only your overall health, but the health of your eyes as well. Eat foods high in Vitamin A, such as carrots, sweet potatoes, spinach, kale, and cantaloupes. Eat foods high in Vitamin E, such as nuts and seeds, salmon, avocados, and kale. Enjoy those high in Vitamin C such as citrus fruits, bell peppers, and kale. Heck, just eat kale! Wear a wide-brimmed hat and sunglasses while outside. Pay attention to the type of sunglasses you purchase. A good pair of sunglasses should block 100 percent of UVA and UVB rays. This may be called UV 400. Also, look at the label of the sunglasses to determine if they are polarized. Polarized sunglasses cut down on the amount of glare that affects your eyes. Pull your eyes away from the screens. Not using screens every moment of the day is hard! Many of us work in front of screens. We communicate with screens. We receive entertainment through screens. Make a conscious effort to have screen-free times several times a day. Perhaps you should avoid eating in front of a screen. This will at least ensure that you will have three periods a day when you are away from screens. If you have to look at a screen while working, let’s say if you are a writer, set your computer to remind you every 20 minutes. When your reminder goes off, look away from your screen for 20 seconds. Taking this short break may even improve your productivity. Take the break a step further and stand up for your interlude. Also, any time you’re in front of the computer you should be wearing a pair of Blue Light Blocking Glasses! 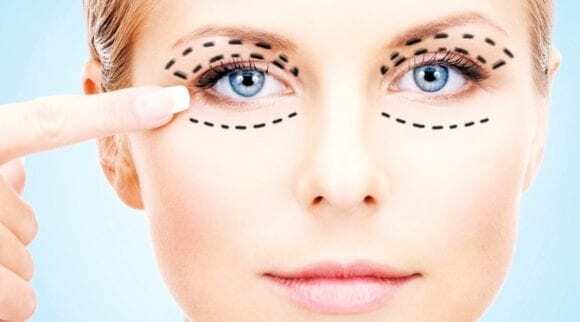 In short, paying attention to your overall health may enable you to keep your 20/20 vision for as long as possible.